One of the world’s largest social networking sites, Fotolog boasts more than 4.7 million members who use photo blogs to connect and communicate daily with a global network of friends and family. Signaling continued growth for one of the world�s largest social networking sites, Fotolog announced this week that it has raised $4 million in Series C funding from BV Capital and 3i. Since March 2005, Fotolog has raised three rounds of funding from BV Capital, 3i, and private investors for a total of $12 million. Fotolog membership has surged from 1 million to more than 4.7 million in the past 20 months, pushing Fotolog into the top 50 websites worldwide, according to Alexa Rankings. Check out an interview with Fotolog co-founder Adam Seifer at GigaOm, as well as coverage in Mashable, Mediapost, Digital Media Wire, PaidContent, and more. 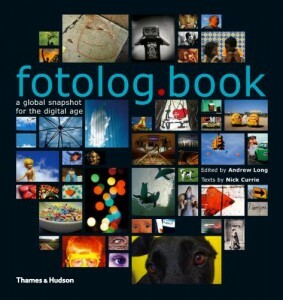 Fotolog, the world�s largest photo blogging community, boasts a new book featuring more than 3,000 photos by its members. PKPR�s publicity campaign for the book has resulted in coverage ranging from ABC News Now and WABC-TV to a live chat on WashingtonPost.com to leading blogs like About.com, Gothamist, Towleroad, and Cool Hunting. Founded in 2002 as a small photo-sharing project for a few dozen friends, Fotolog became a thriving online community, especially in South America, largely through word of mouth online. Fotolog hired PKPR in 2005 to raise the site’s awareness in the United States and position Fotolog as a leader in the emerging photo blogging boom. PKPR leveraged co-founder Adam Seifer�s personal photo blog and professional background to position him as an expert on photo blogging and social networking.